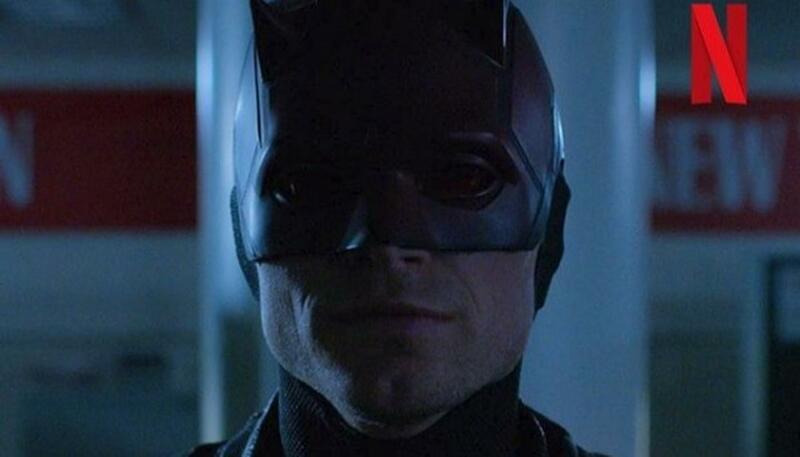 The latest teaser of superhero web series 'Daredevil' introduces a new villain, 'Bullseye'. The new teaser that rolled out on the internet on Saturday, October 6, unveiled a new antagonist, who was seen posing as Daredevil in the first teaser. American actor Wilson Bethel takes up the role of Bullseye in the upcoming sequel. In the second teaser, it is revealed that Bullseye is actually a former FBI agent, 'Agent Dex' who is tired of being admonished for doing the same thing. He takes up the mask to become Bullseye just like Daredevil. Although the New York Comic Con panel has not revealed much information about the plot of the long-awaited third season, Marvel executive producer Jeph Loeb confirmed that Dex will ultimately become Bullseye, the fan-favourite comic's villain. The second teaser of the Netflix venture looks promising from its action-packed preview. As per media reports, Jeph Loeb acknowledged that Dex's real identity might be the worst kept secret in the history of Marvel Entertainment. The first teaser of the superhero venture was unveiled last month. The superhero series 'Daredevil' narrates the story of a lawyer, who secretly takes up the role of a vigilante, 'Daredevil' who fights crimes at night. Visually impaired Murdock uses his highly active senses to fight the unjust in New York City. It features English actor Charlie Cox as Matt Murdock (Daredevil), who is all set to reprise his role in the action-packed third-season of the series. Season 3 of 'Daredevil' was introduced as a special bonus at the end of Marvel's 'Iron Fist' Season 2. 'Daredevil' is the first Netflix venture based on a Marvel Comics character of the same name. The cast of the series also includes Deborah Ann Woll, Elden Henson, Toby Leonard Moore, Vondie Curtis-Hall, Bob Gunton, Ayelet Zurer, Rosario Dawson, Vincent D'Onofrio, Jon Bernthal, Élodie Yung, and Stephen Rider. Reportedly, actors Wilson Bethel and Jay Ali are all set to join the crew for the upcoming season. The first season of 'Daredevil' premiered on Netflix on April 10, 2015, while the second season premiered on March 18, 2016. The third season of 'Daredevil' is all set to release on October 19, 2018. Eddie Murphy To Become A Father For The Tenth Time!